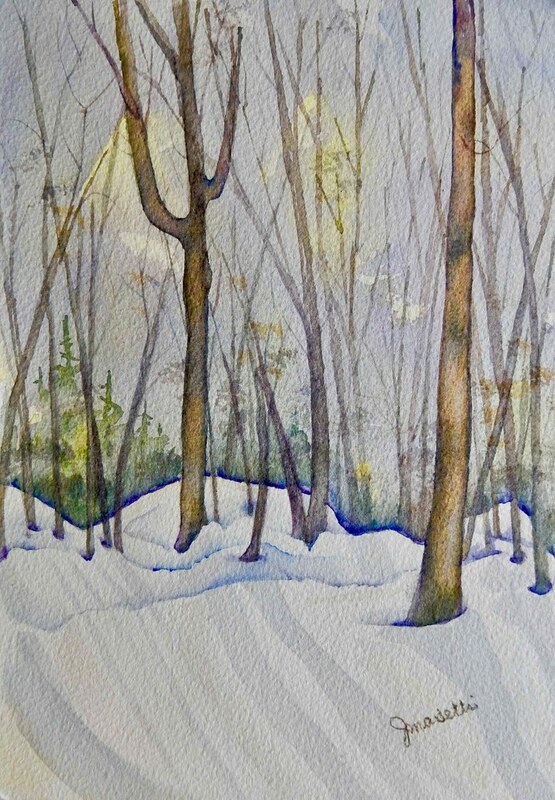 The theme of our next class of "Watercolor with Jean" was painting snow scenes. I did a painting at home from a photo I took in my back yard and made a watercolor of it. 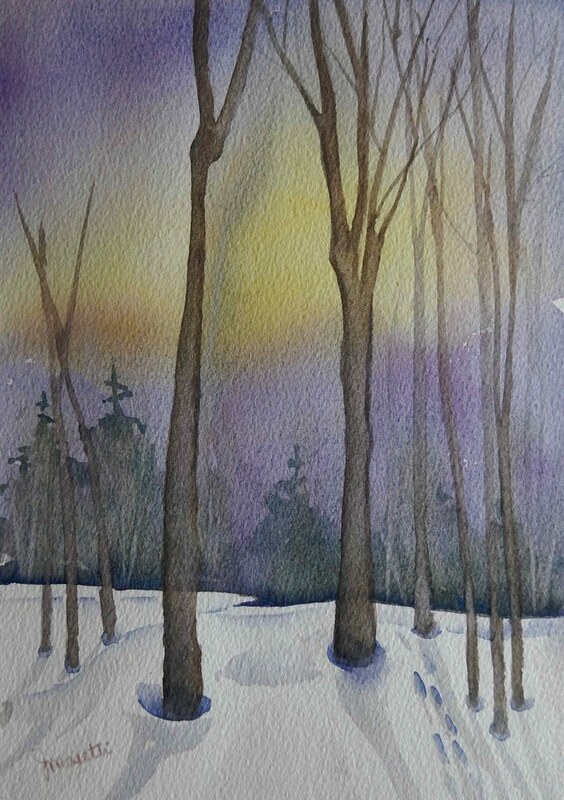 I started the class with a demo of a new snow scene in class and did the painting in steps, so as to help the students learn various techniques of mixing color and practicing the use of light and shadow. The class seemed to have trouble following and I spent a lot of time with individual instruction. I asked them to work on them at home and bring them to the next and last class. Because of scheduling of the classroom, we skipped a week, so they two weeks to work on it.